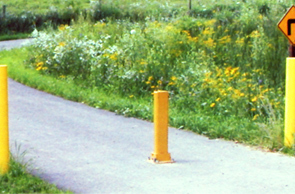 The lightweight surface mount recycled plastic protection post will help you limit access to bike paths, nature trails, and parking facilities. 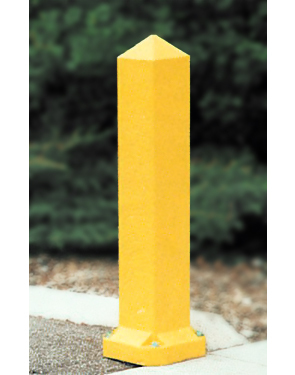 The surface mount bollard is easy to handle which makes for quicker installation and removal, resulting in reduced labor time. Made with 100% recycled plastic, these products are guaranteed against rot or deterioration that occurs in traditional materials. Graffiti from paint, magic markers, and dirt can be removed with either soap and water or a commercial solvent. With the molded in color feature painting is never required and they are guaranteed to be rust free. This protection post will maintain its color even if nicked or scratched.